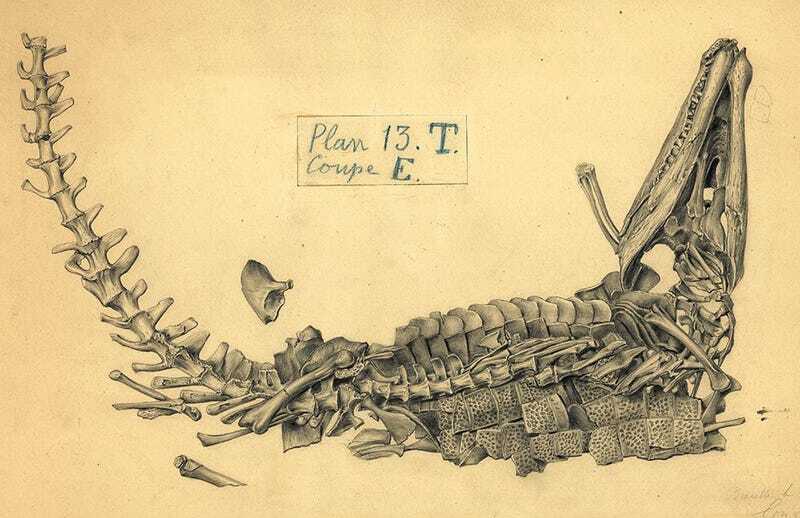 When scientists and technicians from the Royal Belgian Institute of Natural Sciences were excavating Iguanodon and crocodile skeletons in Bernissart, artist Gustave Lavalette was commissioned to sketch the skeletons before they were removed from the ground. Lavalette's sketches capture that moment of discovery, long after the animal died and its remains had shifted in the Earth. Add the images below to the fantastic historical illustrations of the Iguanodon we've seen.